“John the Baptist saw Jesus coming toward him and said, “Behold, the Lamb of God, who takes away the sin of the world. Each Wednesday I go and bring our Lord in Holy Communion with me to visit our parishioners in the Hospital. Each Friday I go and visit the home bound, always bringing Jesus along. I use a pyx which was given to me by my sister-in-laws mother who has since died of cancer. Each time I use it I think of Ms. Janet and day a prayer for her and ask her to intercede for me and those who I will visit that day. I also ask for the intercession of the others I have brought communion to, using that pyx who are no longer of this world but have passed away. There is a tradition in the Church to pray the rosary as you transport the Eucharist, asking our Blessed Mother to help us as she was the first to bring Christ to the world. I too pray my rosary and ask for our Lady to intercede for me and those I visit. I never know who, or even what I might encounter when carrying our Lord, but I do know that I always am filled with his grace and his love. Without which, I couldn’t go and bring Him to others. The people I visit are always thankful to receive our Lord; some will comment on how it is so nice to have received a visit and to be able to receive our Lord in Holy Communion. I too, am always thankful after having an encounter with someone and our Eucharistic King. At the end of the communion rite as I hold the host above the pyx and say: “Behold the Lamb of God, Behold Him, who takes away the sins of the world, blessed are those who are called to the Supper of the Lamb.” I am always filled with an immense sense of gratitude and wonder at Christ who comes to feed us and give us what we need under the form of this simple host I hold in my fingers. Those words bear more of a special weight now. Each time I say them, I think of the person who is deceased and hopefully with God at his eternal Supper. I ask for her prayers. 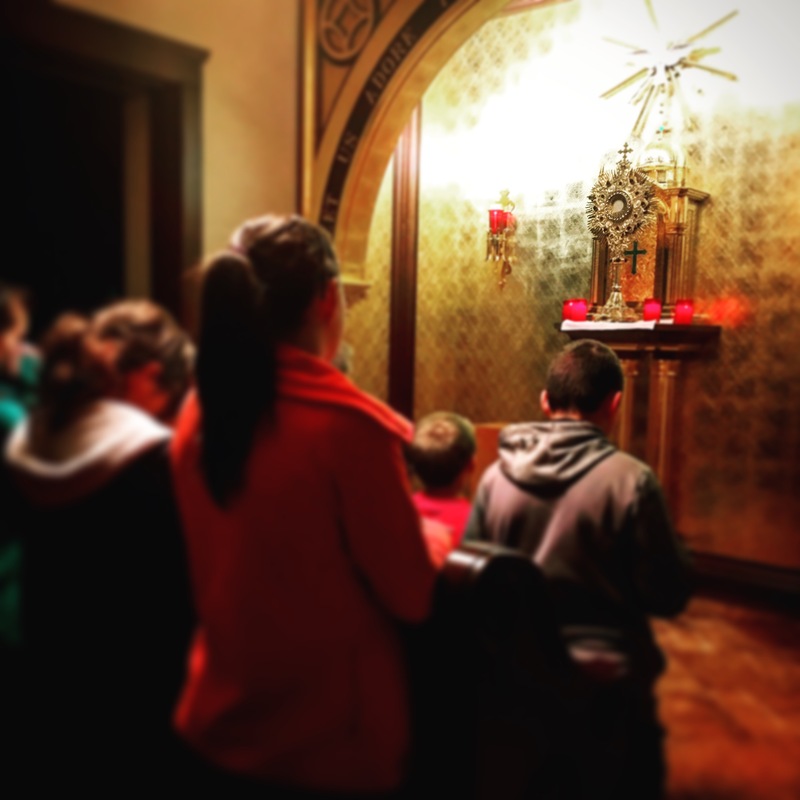 I find that the many different people who touch my life through my ministry at the Cathedral, or the parishes I have been at before leave my heart wounded with the love of Christ in unique ways. When I say different words, use different objects, see different pictures, my heart is filled with the love of Christ for his flock. I have a closeness with these people. I have a desire to serve them and love them more like Christ. And I am encouraged to constantly seek to find Christ through them. And as I say those words: “Behold the Lamb of God…” I, like the person on the receiving end, look upon the face of our Eucharistic King and see Him who has come to visit us, who has come to visit me in the “Supper of the Lamb.” And I think and I pray that I might always be blessed to be called there to the side of the Lords flock, looking and gazing together upon the Lamb of God.